One of the most powerful site promotion tools is the press release. A quality press release submitted to the right news distribution portal will definitely bring important revenue if its content is of interest, qualitative and actual (yes, that’s what press releases are for!). News distribution portals and services are used by thousands of journalists all around the world. If your press release has it all, you’ll probably see it published in thousands of other locations: online or offline. All in all: a good press release will attract immediate attention to your business and website. Unlike articles, that bring you visitors a long time after their first release, press releases have a shorter life. That’s why it is so important to write them well. A well-written online press release has another important advantage: it will increase the number of one way links to your website, thus your search engine ranking. So, although the traffic boost will not last long, you gain by having your press release archived in an online searchable database. Editors will not just publish anything. Your press release needs to respect a few important guidelines. 1. The layout is very important. Your first paragraph should always answer the following five questions: “who?”, “what?”, “when?”, “where?”, “why?”. Limit your press release to one or two pages and always end your press release with a conclusion. 2. Always write the content from the view of the public. Highlight customer benefits, not your own. Know your audience and “think” your audience. 3. Always use proper grammar and spelling. Avoid other silly mistakes such as wrong date, misspelled names, etc. 4. Last but not least, always sign your press release and provide contact information. There is no such thing as an anonymous press release. Your press release has to be newsworthy. What you might consider great may have little or no importance for your readers. A press release is not a sales brochure it’s an announcement. It publicizes an event, a new, extraordinary product or a service. It does not repeat the contents of your website and it does not tell stories that have been told. Once you have a quality press release you need a quality submission service to reach a broad audience. You need to know that you’ll get what you are paying for. PR Newswire is great, reliable and has great coverage. Their fees are fair and accessible. Since this is not an article advertising PR Newswire, I’ll include other options too: Eworldwire, PR Web, Submit Express and so on. Just type “press release submission” in any search engine and you’ll find plenty of press release submission services, some of them even free. You should really take care how you write your press release, especially when you pay for submission. For best results I suggest you hire a professional writer. Note that the press submission services listed above do provide press release writing services. But: don’t pay for a press release writing service UNLESS your press release is newsworthy for your potential clients. 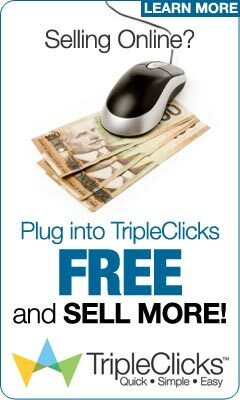 « A Quick Way To Get Website Visitors That Spend!